24 Feb 2018 - Istanbul, 23 February, 2018: On 23 February 2018, the UN Regional Centre for Preventive Diplomacy (UNRCCA) and the UN Office of Counter Terrorism (UNOCT) organized a working level coordination meeting on preventing violent extremism and countering terrorism activities in Central Asia. The meeting was attended by representatives of regional and international organizations and took place in the UNDP regional hub in Istanbul. 19 Feb 2018 - Almaty, 16 February, 2018: SRSG Natalia Gherman took part in the special high-level meeting “Kazakhstan - United Nations: experience, achievements and prospects of cooperation”, dedicated to the 25th Anniversary of the United Nations presence in the Republic of Kazakhstan, which took place on 16 February 2018 in Almaty (Kazakhstan). 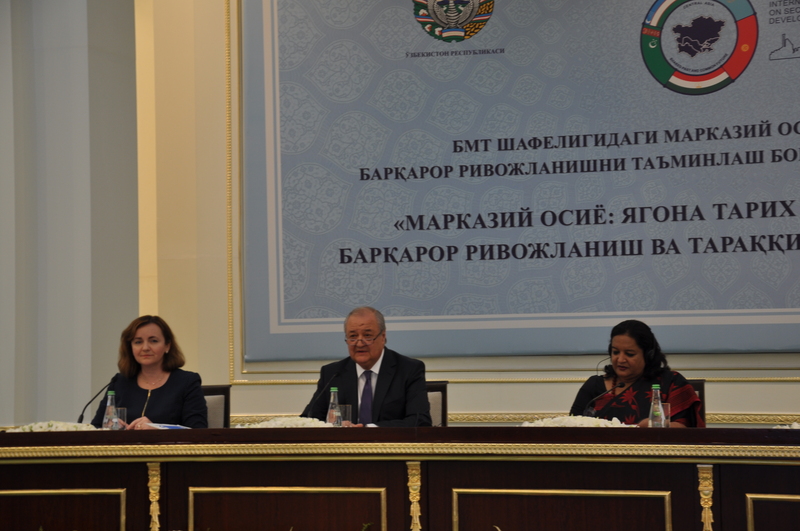 14 Feb 2018 - Ashgabat, 14 February, 2018: On 13 February 2018, SRSG Natalia Gherman held a briefing for the state officials and representatives of the Diplomatic community in Ashgabat, and the media accredited in Turkmenistan. The briefing focused on the political and security situation in the region in the context of positive regional dynamics and on UNRCCA’s ongoing and planned preventive efforts in support of Central Asian governments. 26 Jan 2018 - NY, 25 January 2018: The members of the Security Council welcomed the briefing on 22 January 2018 by the Special Representative of the United Nations Secretary-General and Head of the United Nations Regional Centre for Preventive Diplomacy for Central Asia (UNRCCA), Natalia Gherman, and expressed their support for the work of UNRCCA, which marked its tenth anniversary in December 2017. 19 Dec 2017 - Bishkek, 19 December 2017 - Special Representative of the UN Secretary-General, Head of the UN Regional Centre for Preventive Diplomacy for Central Asia (UNRCCA) Ms.Natalia Gherman, visited the Kyrgyz Republic on 19-20 December. 05 Dec 2017 - Moscow, December 5, 2017: Natalia Gherman, Special Representative of the UN Secretary-General (SRSG), Head of the UN Regional Center for Preventive Diplomacy for Central Asia (UNRCCA) visited the Russian Federation for consultations related to the activities of the Center.